for all types of real estate transactions. Have an out-of-county transaction? We can help! 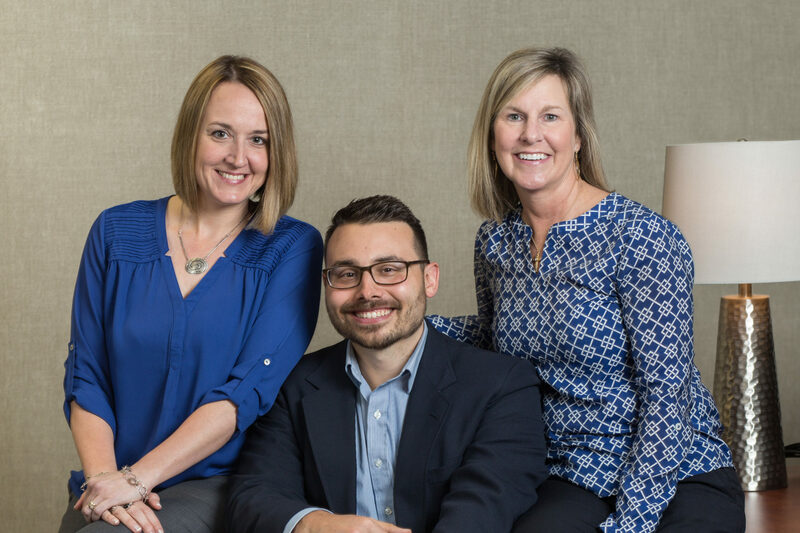 OUR TEAM | We believe in a “personal touch” when it comes to handling your real estate transaction. We will move mountains to satisfy our clients and help in the closing of even the most difficult real estate transaction. Our team has your best interests in mind and will provide you with prompt professional service, from start to finish! 35+ combined years of real estate experience. Hardworking, driven, and determined to give you the best experience possible. We have used LG Settlement Services at least 4 times now. Each time we have gotten excellent service. They help the process stay organized and keep us informed as it progresses. Debbie and Aubrey always answer our questions with patience, no matter how many times they have answered the same question. Mr. Demshock always reviews the contracts/documents with skill to make sure there are no issues. He saved us once from a purchase with hidden issues that would have cost me thousands. We feel confident with them in our corner. Shawn & Chris S.
It was a joy using LG Settlement Services for our home closing. Their team was attentive to detail and kept us in the loop through the process leading up to closing. Debbie followed up months later to remind of us of tax forms that probably would have otherwise been forgotten. LG Settlement Services, in our opinion, is the best choice for real estate transitions in the area, and we just want to say thank you to their awesome team. Curtis & Stephanie S.
Have questions? Ready to get started? Use this form to get in touch with us. You may also call us : (570) 327-0111 or Visit Us. LG Settlement Services, LLC is not a law firm, but attorneys are available to answer legal questions that may arise from any given real estate transaction. The materials available at this web site are for informational purposes only and not for the purpose of providing legal advice. Use of and access to this web site or any of the e-mail links contained within the site do not create an attorney-client relationship between LG Settlement Services, LLC, its attorneys and the user or browser. The opinions expressed at or through this site are the opinions of the individual author and may not reflect the opinions of the Company or any individual attorney. Copyright 2018 - Liberty Settlement Services, LLC. | A Liberty Group Company.